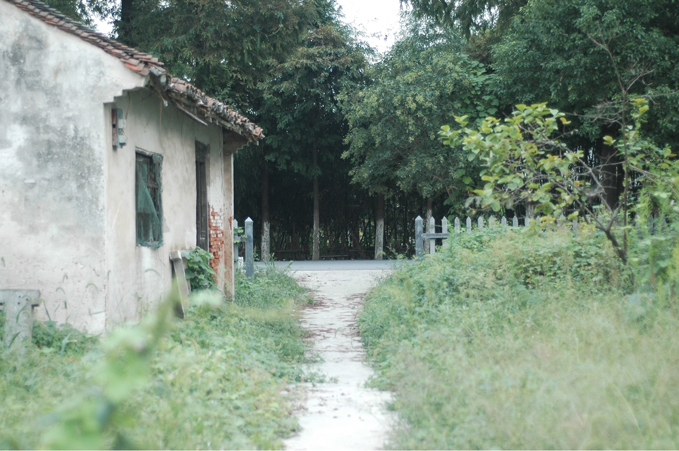 Posted by admin on July 16, 2010; This entry is filed under China, Chongming Island, Design Role Analysis, Investigating, Shangai, Xianqiao Village, Xianqio Village > Chongming Island > Shangai > China. - map social innovations: finding, describing and representing the local creative communities and their initiatives. Tools used in this area of intervention have been: on the field observations, data collections and analysis, interviews, cases mapping and understanding. 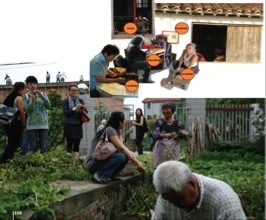 In the case of Chong Ming Island the process of investigating showed that its identity is based in agriculture, nature and ecology along with a few associated traditions of farming on the verge of being forgotten. Land remains designated from government initiatives with strong village support both in terms of social meaning and economic production. In other world the government, while a top-down system, directly affects the life-world of rural inhabitants on a daily basis who, in turn, simultaneously promote it from a bottom direction. Socio-cultural connection are also not limited to one village but happen among a network of neighboring villages for nursing aid, food collection, selling home made products and business services. These village government initiatives and entrepreneurial-type residents provide the capability to develop and improve a community with more opportunity given by the designer. The context is characterised by the presence of creative communities.